One of the best parts of my job is comparing before and after photos. It’s absolutely amazing to see how Ben and Brian completely transform spaces. The clients loved to entertain, but their outdated kitchen lacked the functionality that they needed. The clients wanted their kitchen to highlight their unique, modern style. 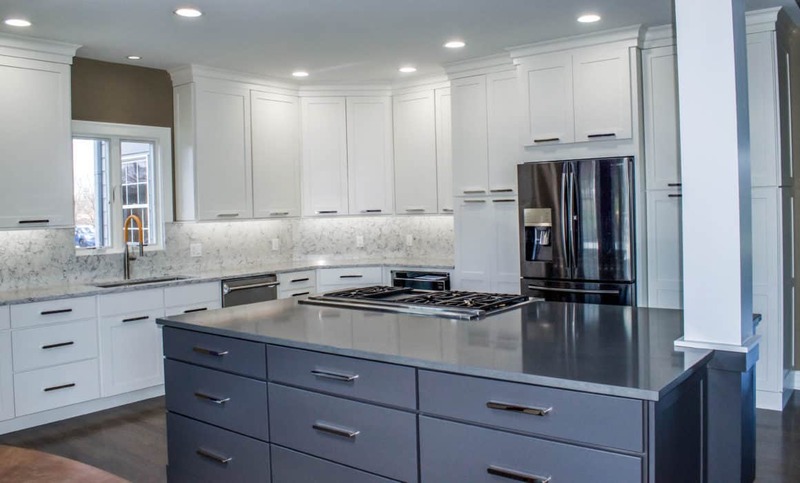 They chose high end finishes, including quartz countertops and full quartz backsplash. 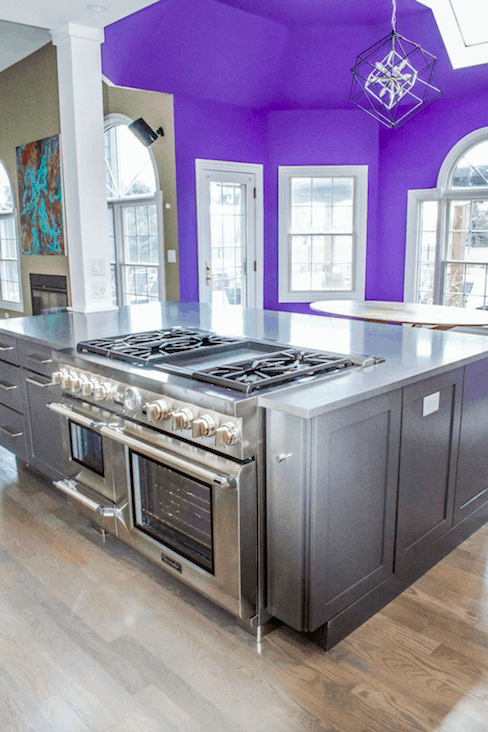 Upscale appliances and plumbing fixtures provided Mike and Eric the opportunity to cook comfortably and with style. 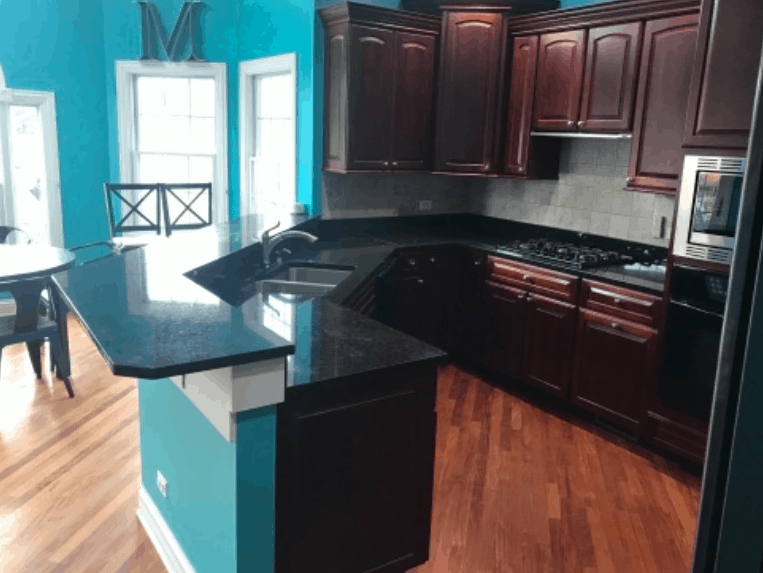 The enormous kitchen island with custom Yorktowne cabinetry would make anyone envious. The purple wall color and white oak gray floors? The perfect finishing touch to highlight their modern flare. 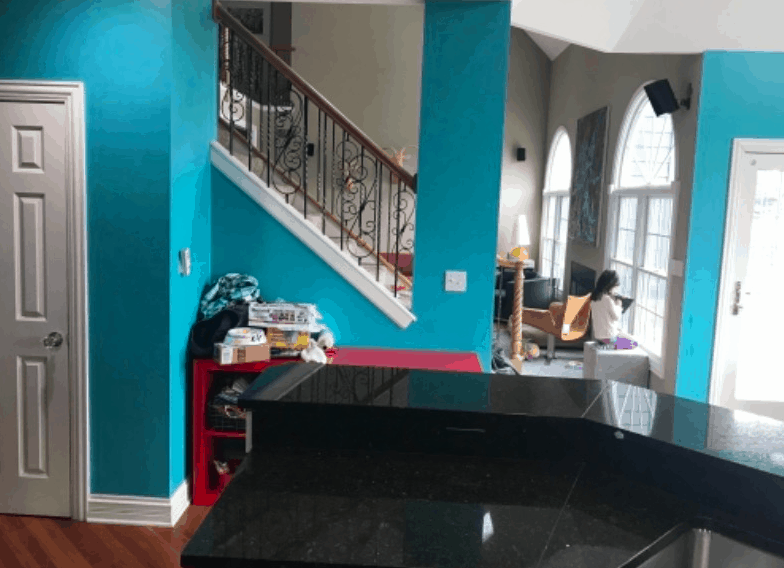 When I walked into this kitchen to snap some “after” photos, I was in complete awe. The large kitchen provided such a bright and airy appearance. The kitchen layout maximized every inch of space to provide the clients with a functional space. 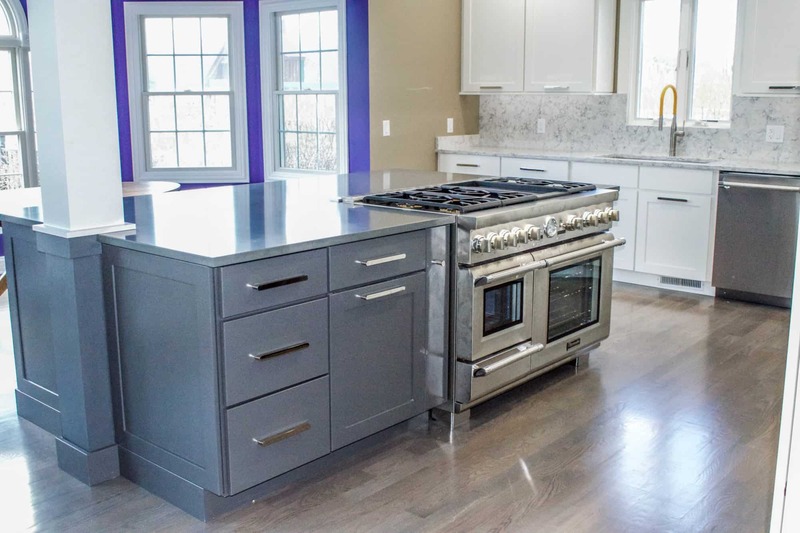 Who wouldn’t want to entertain friends and family in this beautiful kitchen over the holidays?! 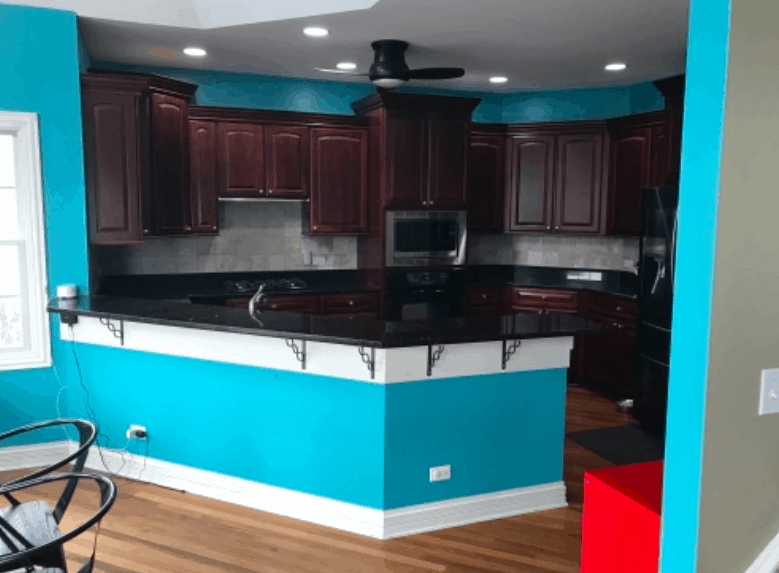 We also provided updates to other parts of the home while completing Eric and Mike’s kitchen remodel. 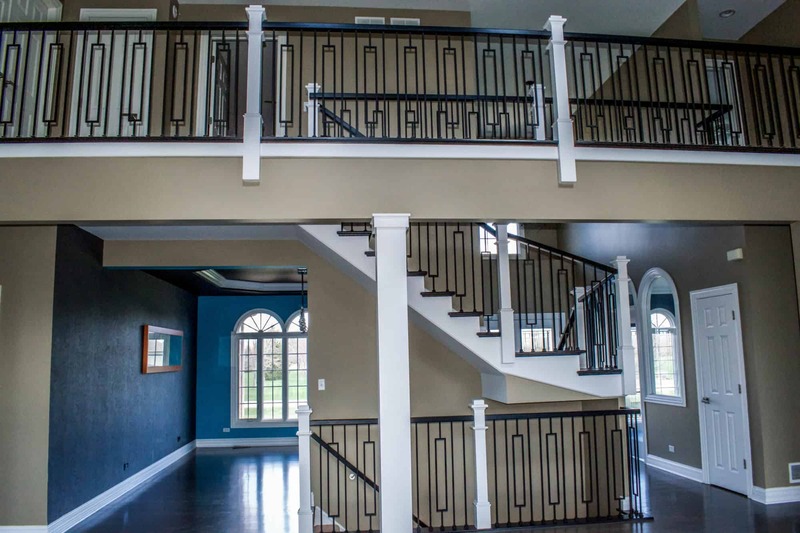 We transformed the old, boring staircase into a major focal point. Who knew that stairs could make such a drastic statement?! 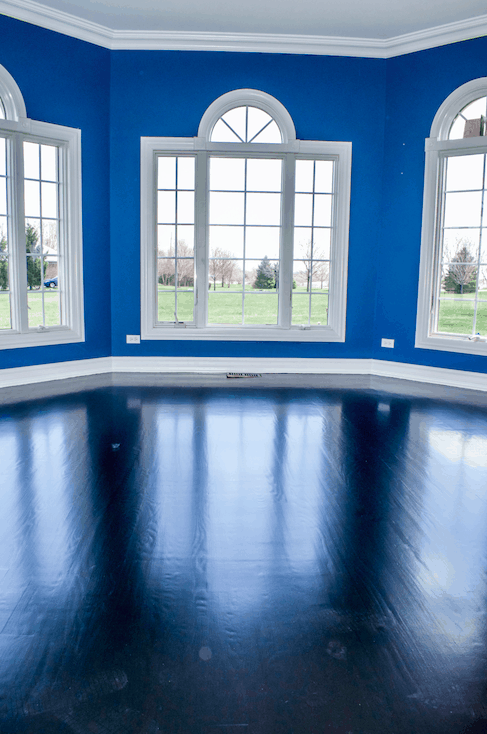 To go along with Mike and Eric’s modern style, we updated flooring and changed the wall color in other rooms of the house. Needless to say, I’m obsessed with the end result. Want to see more? You can view the entire project portfolio here! Treating your home like our home since 1989.